Environmental Audit Services -- HKC & Associates, Inc.
HKC has conducted several environmental audits at industrial facilities, such as dry cleaners, body paint shops, oil change facilities, gas stations, and metal shops. Audits are performed to identify operational and chemical storage deficiencies that might impose environmental liabilities. All audits are conducted in accordance with EPA, OSHA and related State Agency regulations. 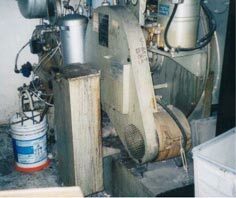 Operation mismanagement at this dry cleaning facility resulted in an environmental liability. 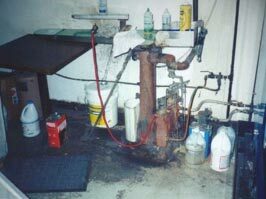 Chemicals at this dry cleaning facility resulted in an environmental liability.